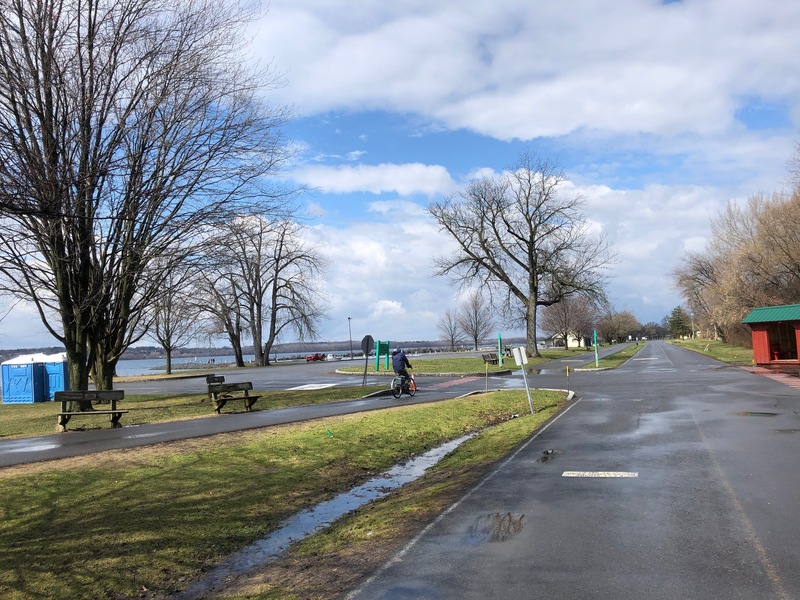 The bicycles were back out at Onondaga Lake Park while we were walking during our work breaks this weeek. Hooray for the rotation, Beth. What a great place to go for it. Our little lake is a gem, MBC. We deserve a break today, Willow. and thanks again for contributing to the lady by River book – and for your patience as I put together the 2nd edition. And happy we are, Nance!